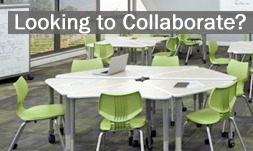 Worthington Direct specializes in school furniture that can be used for a broad range of school facilities. Whether a public, private or Montessori school, Worthington Direct will have the student desks, classroom chairs, computer furniture and early childhood furniture that is best for any given curriculum. Visit www.worthingtondirect.com today for great deals on top brand school, church and early childhood furniture. You may have driven past one in your area, or heard the name when looking for a school for your child, and wondered, "What is Montessori?" Take some time to read about what a Montessori school is and how it differs from most traditional schools. You might find that it offers the type of education you wish to find for your child. In 1907, the first woman to become a physician in Italy developed a revolutionary method of teaching children. Dr. Maria Montessori developed the Montessori Method which today is used in thousands of schools all over the world. Through her research in psychiatry and education and work with different types of children, Montessori concluded that children are capable of teaching themselves if given the proper environment. The Montessori Method differs in many ways from the structure of mainstream schools. Rather than a teacher whose role is to bestow knowledge upon the children, the teacher serves as the facilitator between the environment and the developing child. The teacher helps the child maintain his concentration and the environment so that each pupil is able to explore and create. The method operates under the assumption that children learn differently from adults and even differently from each other. A sense of individuality is encouraged in the way that the children are allowed to learn. A child is able to learn at his own pace and continue engaging in an activity for as long as he desires. Subject areas such as cooking, cleaning and gardening are just a few of the many practical areas that are studied at a Montessori school. According to the International Montessori Index, a child is not interested in pretend cooking when he can do the real thing. At any point during the day the traditional subjects, Math, Science, Language, History, Science, Music etc. are studied as well. The method aims to cultivate individuals who are well adjusted, have a strong sense of themselves, and a well developed character rather than children that are simply full of facts and figures. Along with linguistic or logical-mathematical styles of learning, the Montessori Method recognizes that spatial, interpersonal and intuitive forms of learning are just a few modes that are just as essential. The experience of learning and developing is paramount to the end goal of having a traditionally educated child. Rather than passive activities such as listening to a lecture or just reading, Montessori students are taught to use all of their five senses in their learning environment. A child is encouraged to appreciate the world around him and explore the unique potential and abilities that he alone possesses. Montessori schools are primarily focused on younger children. Different aged children are in the same classroom and are broken up into age ranges: 3-6, 6-12. Children learn from each other and through individual lessons with the teacher as well as on their own. The method supports the idea that at different developmental stages children are more equipped to learn different things. The very youngest children are encouraged to develop their language skills and use their senses. In contrast to middle-school aged children, who are taught to use their imagination, learn to make informed choices, develop sustained concentration. There are special teacher training programs for Montessori teachers as well as Montessori designed materials and even classroom furniture. There are not tests or grades; the Montessori materials tend to be self-correcting. Teachers observe children’s development in order to be cognizant of areas that the child may be struggling with.